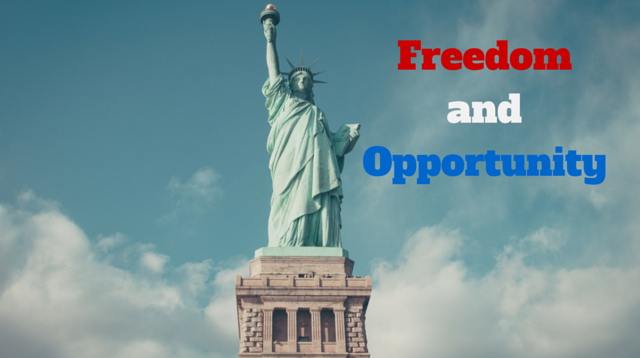 As we celebrate the birth of our nation, I want to encourage you to take advantage of the opportunities we have in this country as a result of the freedom’s we enjoy. Improve yourself financially and achieve greatness. During this podcast, I mentioned a quote by John D. Rockefeller that is posted on a plaque at the Rockefeller Center in New York. I am including here for all of you to read. “I believe in the supreme worth of the individual and in his right to life, liberty and the pursuit of happiness. I believe in the sacredness of a promise, that a man’s word should be as good as his bond, that character—not wealth or power or position—is of supreme worth. I believe in an all-wise and all-loving God, named by whatever name, and that the individual’s highest fulfillment, greatest happiness and widest usefulness are to be found in living in harmony with His will.